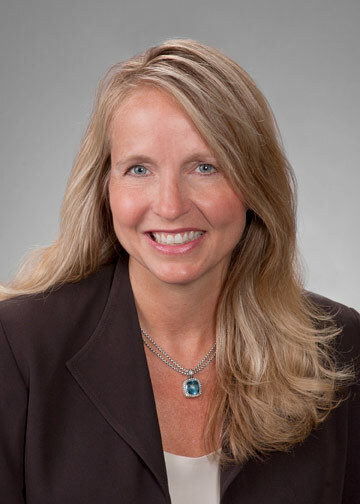 Robin Hulshizer is a partner in the Chicago office of law firm Latham & Watkins. In 2010, 70 school-age children from Chicago were killed by gunfire and more than 600 were wounded, according to the Chicago Police Department. Youth violence is widespread, and is the second leading cause of death nationally for people between the ages of 10 and 24, according to the Centers for Disease Control and Prevention/National Center for Injury Prevention and Control. These statistics are heart-wrenching, and the pain and suffering is felt profoundly by families and the wider community. The Do the Write Thing (DtWT) challenge is a creative and constructive program aimed at squarely addressing the scourge of youth violence. The initiative asks middle-school students to focus on how they can distance themselves from violence, and invites them to think about ways to reduce violence and how they can be part of the solution. I’ve proudly served as chair of Chicago’s DtWT Challenge for four years, and during this time I have seen the undeniable power of the program. Part of the National Campaign to Stop Violence, the DtWT Challenge reaches hundreds of Chicago public and Catholic schoolchildren. The stories of courage and compassion in the face of crushing pain and family grief are humbling and inspiring. My participation in the program has left a life-altering impression on me and its far-reaching potential to bring about positive change continues to motivate me to encourage more widespread participation. The 2012 program has kicked off, but it’s not too late for schools and students to join the challenge. The deadline to submit essays, or other forms of creative writing, is Friday, March 2. Last year, Chicago’s DtWT challenge received more than 1,000 entries from 7th and 8th grade students from approximately 30 schools. In 2012, we aim to increase the number of participating schools and students, especially those schools and students who have not previously participated. Sara Arthur, a teacher at Mark Sheridan Elementary, is one of the many educators who see the value in this dynamic program. Following classroom discussions on youth violence, students are asked to make a commitment to stay away from violence and provide written answers to three questions: How has violence affected my life? What are the causes of youth violence? What can I do about youth violence? The essays, or other forms of creative writing, are reviewed by hundreds of readers across Chicago. The finalists are judged by a distinguished panel that picks the top 100 entries. As a senator, President Barack Obama served as a judge. The student authors, along with their teachers and parents, will be honored at an awards ceremony on May 8 at the University of Illinois at Chicago. The top male student and top female student will be named and will attend the national awards ceremony in Washington, D.C., in July. The five-night trip to Washington, D.C. includes visits to the Library of Congress, the U.S. Supreme Court and their state legislators, among other activities and events. Since 1998, the National Campaign to Stop Violence’s DtWT challenge has been opening new doors for middle-school students across Chicago. The innovative program encourages participating students to think about their role in society and helps them realize they have a responsibility to be a force for positive change in their environment. By taking time to consider what an individual can do and translating their thoughts into written words, each student comes to accept the active role they can play in their local neighborhood and wider community. A quote from Rashad Johnson, a finalist from 2008, illustrates that concept. For additional information on how to participate in the 2012 challenge, please visit our Facebook page, our website or contact Thomas Short at (312) 777-7053. Robin Hulzhiser is a partner in the Chicago office of law firm Latham & Watkins.